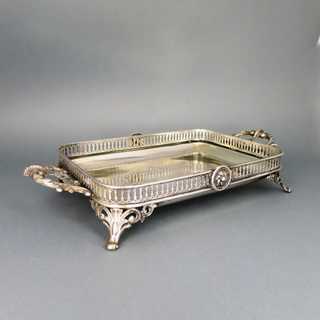 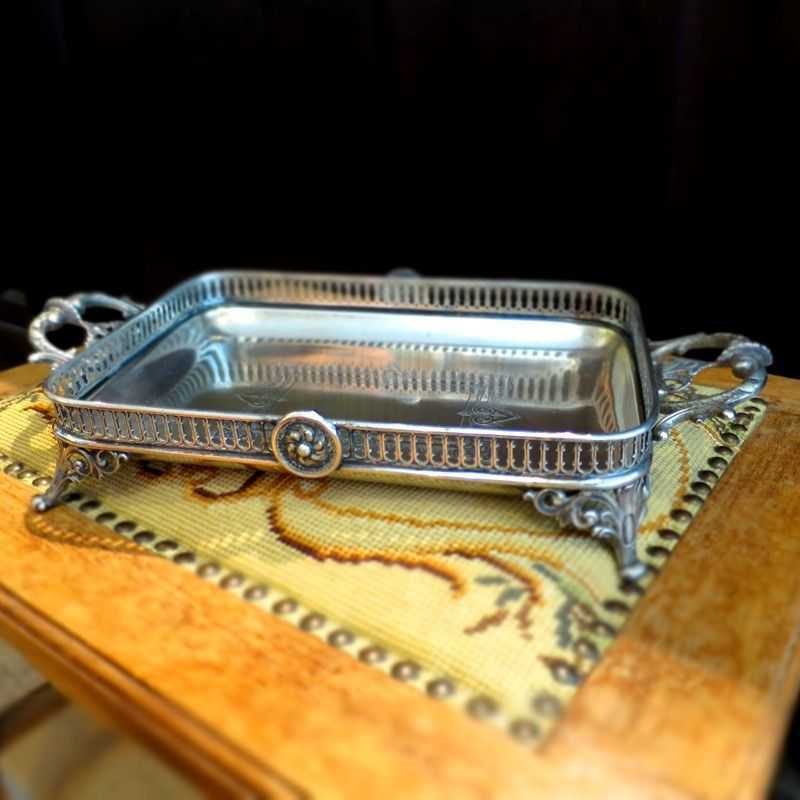 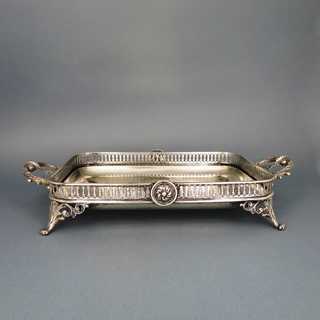 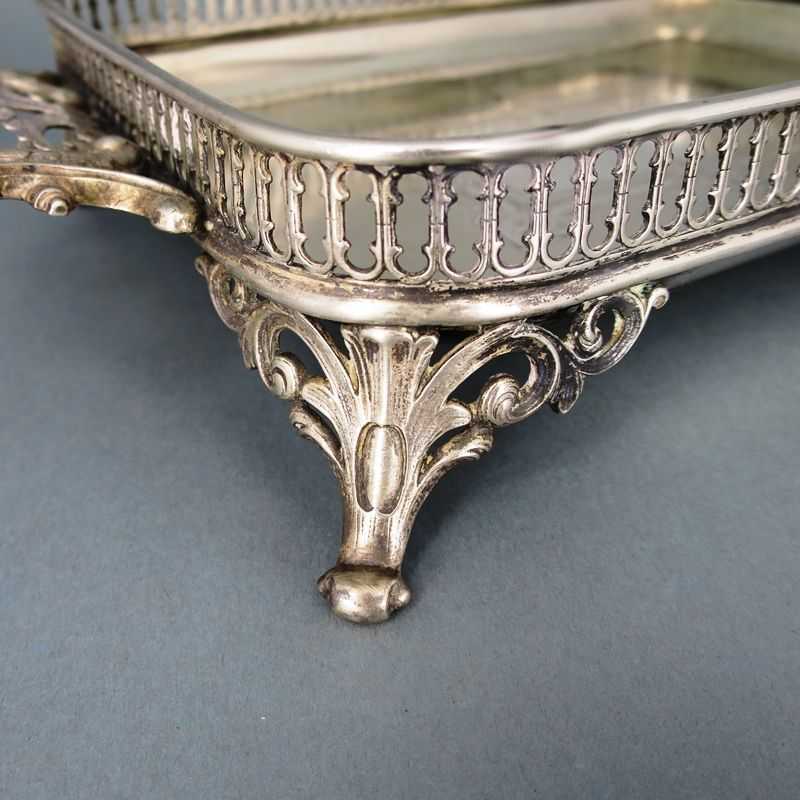 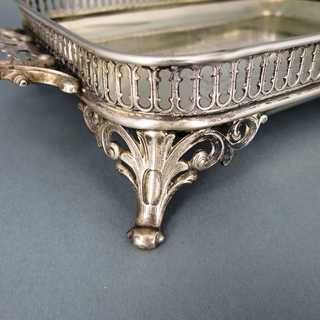 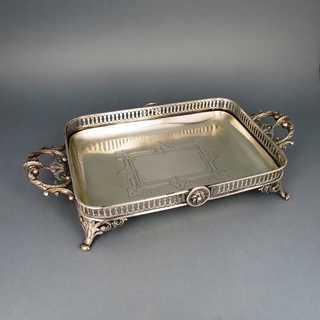 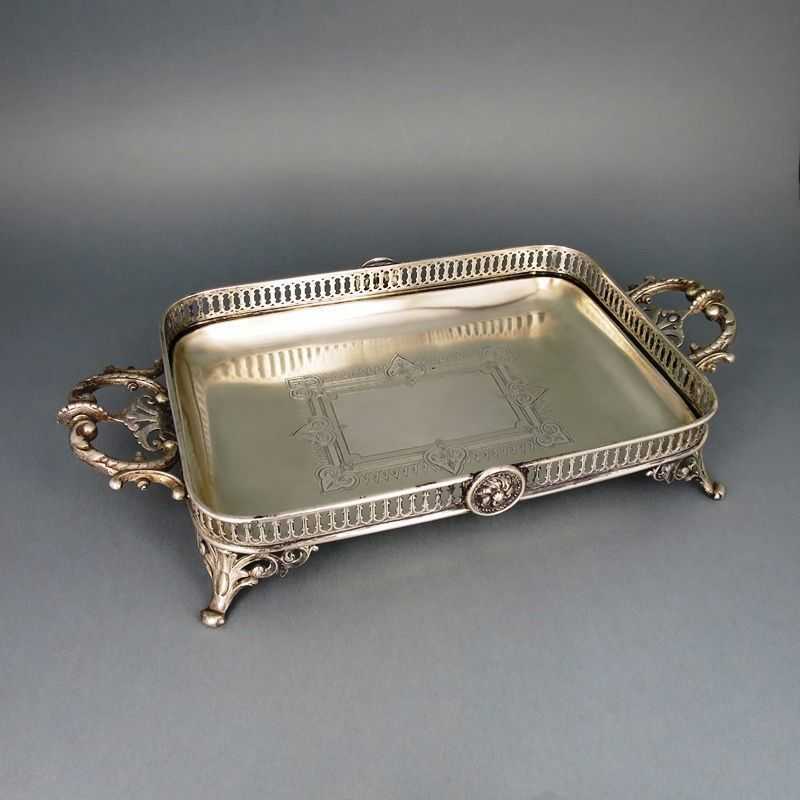 Gorgeous footed bowl / tray with gallery rim. 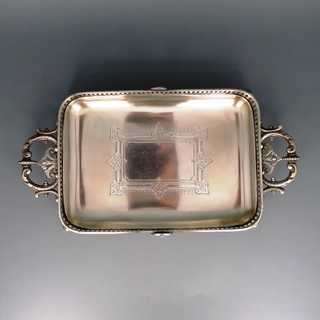 Rectangular shape with rounded corners. 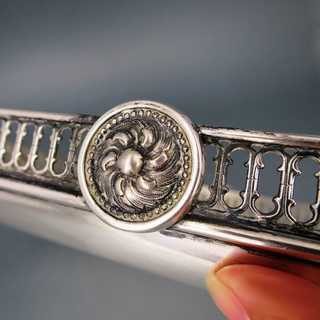 Heavy open worked rim with two rosettes. Two rocaille-shaped handles. 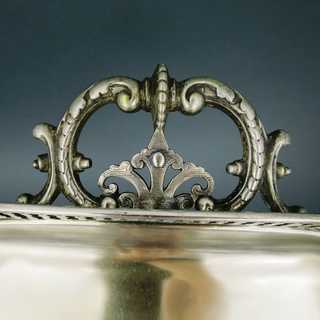 Four curved feets with acanthus relief. 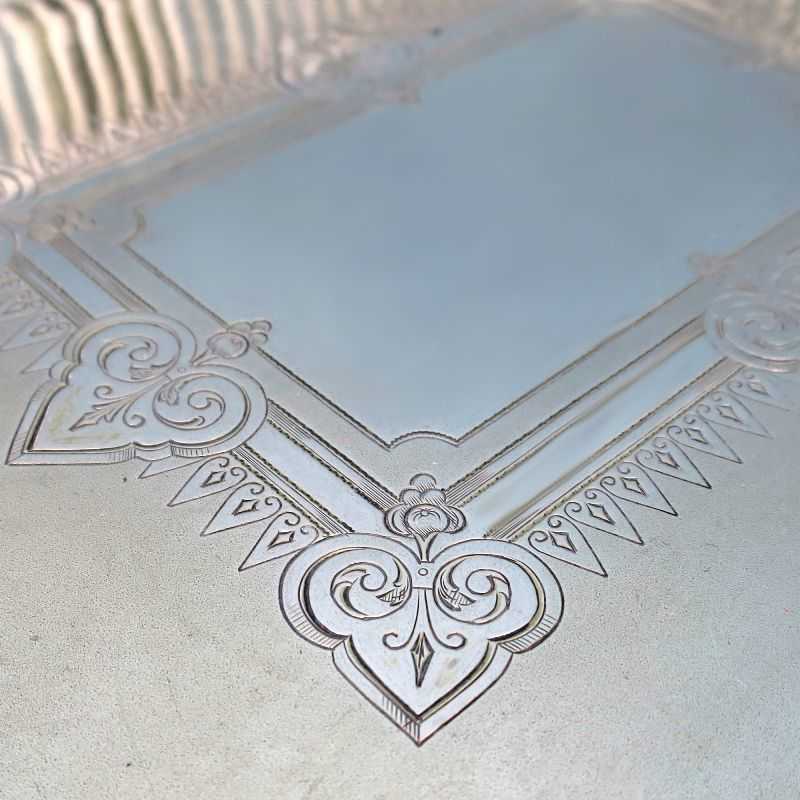 Inside rich engraved, with partly polished and partly matted surfaces. 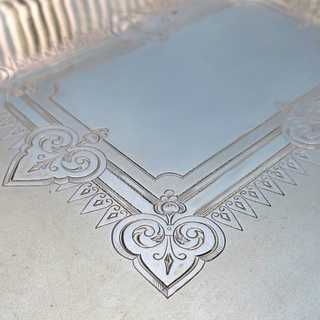 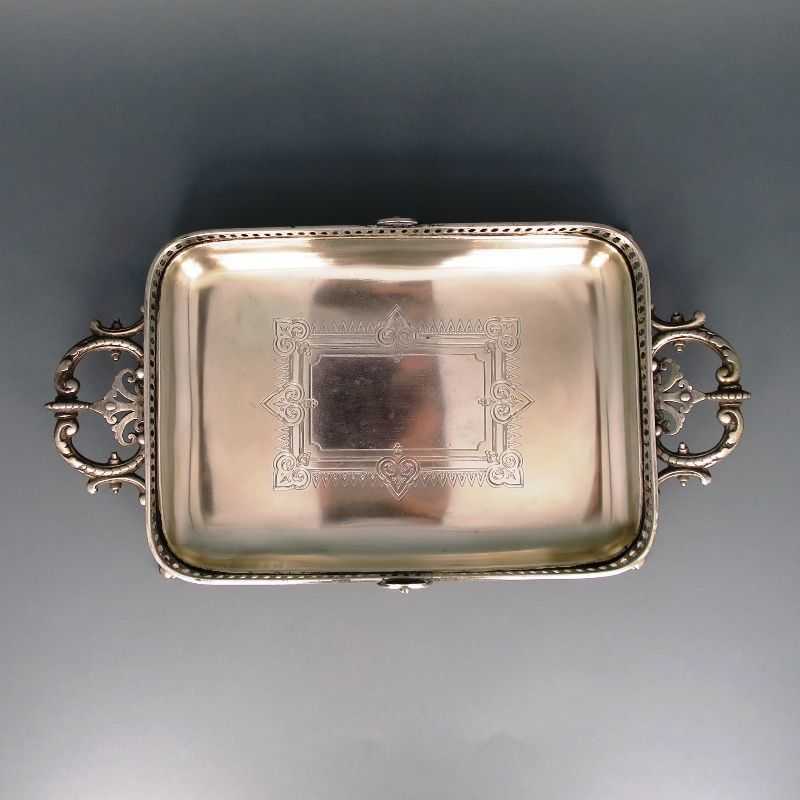 Marked made by the famous german silver manufactory Wilkens in Bremen-Hemelingen, about 1900. 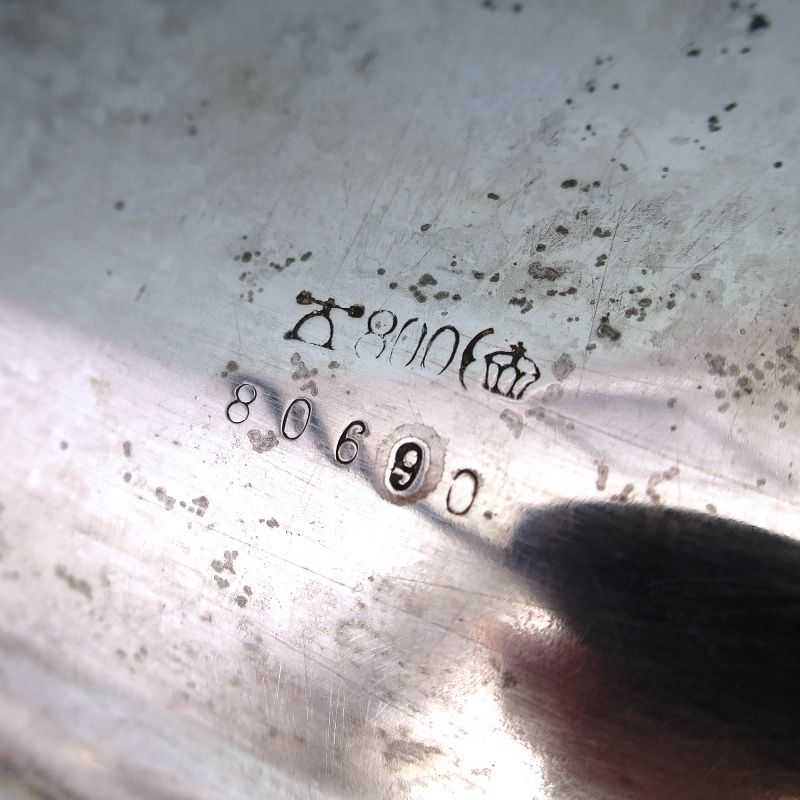 - Condition: patina, due to the age, no damage!